ShowStopper Tours has been in the tour business for many years creating exciting, memorable and affordable tours for thousands of groups. At ShowStopper Tours, we are dedicated to finding the lowest group rates at the highest quality, with unsurpassed customer service through the tour process! In addition to this, all groups will have an experienced and knowledgable tour representative that is available throughout your tour. 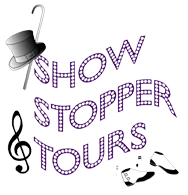 ShowStopper Tours understands that the key to your tour's success lies with the performance and educational aspect of the tour. Keeping this in mind, we are able to design tours that will please everyone! ShowStopper Tours customizes tours that are memorable, educational, exciting and fulfilling in every aspect. No two tours are ever the same, since each tour is individually tailored to meet the exact needs of every group. Whether you choose a performance tour, a clinic-intensive tour, a fun trip, a one-day or multiple day tour, ShowStopper Tours will work with you to combine educational and fun activities while keeping your tour affordable.